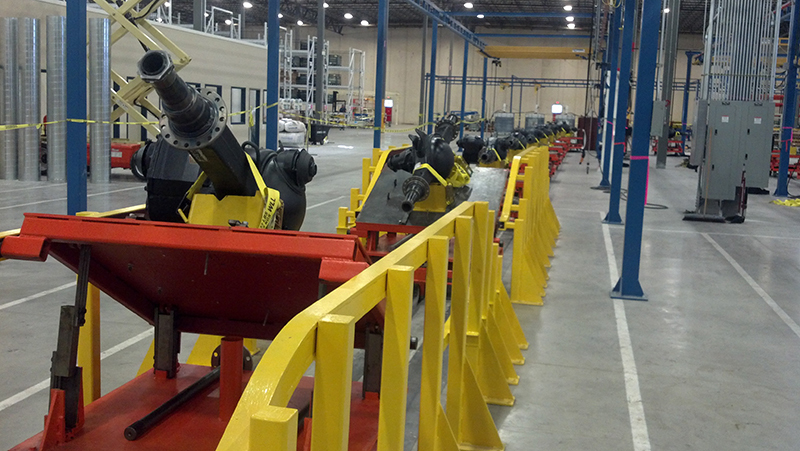 The patented RSI In-Floor Tow Conveyor is an economical in-floor mounted conveyor system used in finishing rooms, assembly, and warehouse areas of manufacturing plants. 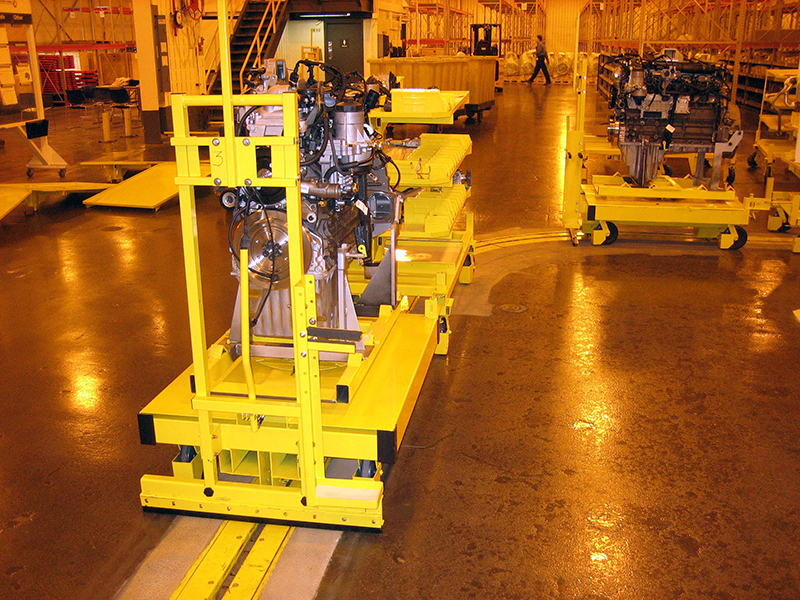 With the RSI In-Floor Tow Conveyor, carts can be conveyed to a workstation upon request, then released to the main line and sent to the next station. 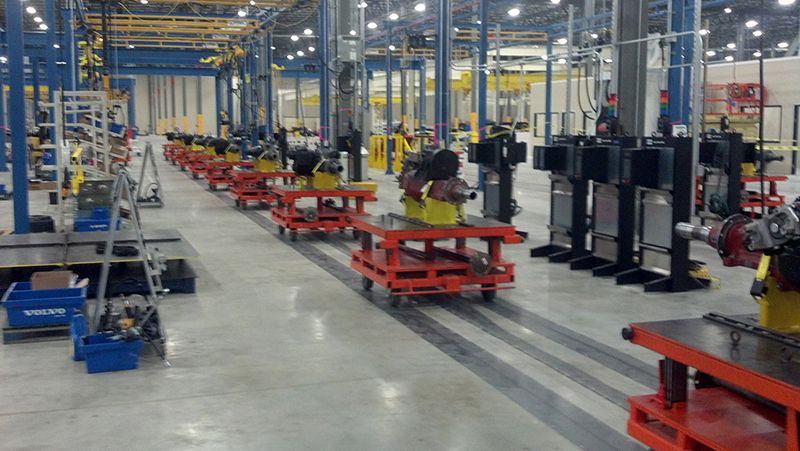 This system enables carts to stop in work locations while the rest of the system continues to operate. 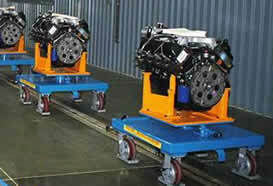 At staging and queue areas, carts can be indexed and accumulated as required. 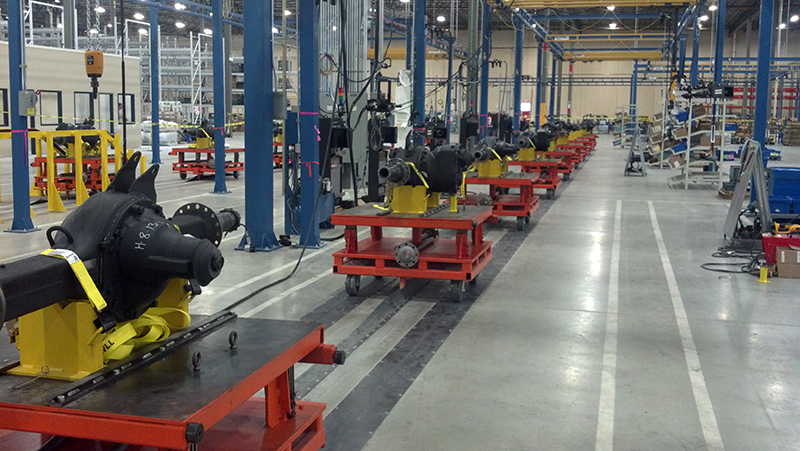 The RSI In-Floor Tow Conveyor features inline conveying for roll handling and progressive assembly, palletizing and packaging. 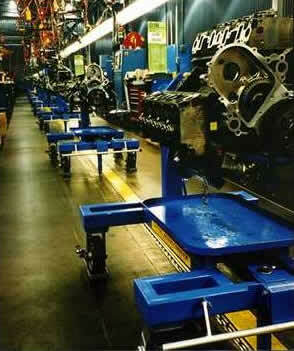 An optional automatic load and unload feature is also available.